Bristol City boss Lee Johnson believes the Robins and Preston North End share a similar philosophy. The sides played out a 1-1 draw at Deepdale on Saturday with Famara Diedhiou’s goal for the visitors cancelling out Daniel Johnson’s opener. The result extended PNE’s unbeaten run against City to 12 games, the Robins’ manager saluting North End having worked with goalscorer Johnson and Ben Pearson, who was suspended on the day. He also admitted he has previously tried to sign Brad Potts, a seven-figure January acquisition by the Lilywhites from Barnsley. “Why have we got that record? Because Preston are a good side,” Johnson said. “They’ve got a philosophy and an ethos in terms of the way they sign players. “I’ve had half of their players or tried to sign them! “I had DJ at Oldham, Pearson at Barnsley and I’ve certainly had a go at getting Potts before. “We’re in the same pool. We’re fishing in the same pond if you like and using the same market. “I know that these lads are good players and good types and I think that’s important. “Both clubs are similar in terms of their model, having similar sized stadiums and things like that. A point apiece meant the Robins stayed six points clear of North End in the final play-off place and Johnson praised both clubs for their ability to compete at the sharp end of the Championship. 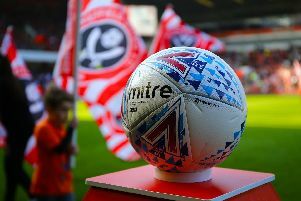 “There may be a lot of big hitters in the division financially but you see Bristol City and Preston consistently competing and inevitably losing their better players and having to sell them,” the Robins boss said. “But that ethos remains and we try and sign, develop and promote from young. “Both teams have academy products in the team today and we nicked one of Preston’s in Josh Brownhill and he’s fantastic for us.